New Orleans, Louisiana – To launch the International Jazz Day 2018 celebration, the Thelonious Monk Institute of Jazz, in partnership with the United Nations Educational, Scientific and Cultural Organization (UNESCO), will present a special International Jazz Day Salute to New Orleans concert recognizing the 300th anniversary of the City of New Orleans. Taking place Sunday, April 22 at 2 pm in historic Congo Square, this free, public event will be led by iconic jazz pianist Herbie Hancock and world-renowned New Orleans trumpeter Terence Blanchard, who will perform with the E-Collective. The concert also will feature the extraordinary vocalists Patti Austin, Ledisi and the Preservation All-Stars with other special guests affirming the unifying power of jazz. John Beasley will serve as Musical Director for the event. In addition to the live concert, a series of in-school jazz education presentations led by the Institute’s teaching artists and educators will serve New Orleans students from April 18 to 30. 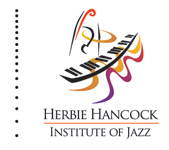 These free programs, exploring the origins, development and significance of jazz, will include master classes conducted by Hancock and Blanchard and other outstanding musicians and educators. The Congo Square concert will serve as a kick off to International Jazz Day 2018. This global celebration, which takes place each year on April 30, highlights the power of jazz as a force for freedom and creativity, promotes intercultural dialogue through respect and understanding, and unites people from all corners of the globe. Of special significance, the first ever International Jazz Day event was held in Congo Square, so it is fitting that this year’s Jazz Day festivities take place in New Orleans, the birthplace of jazz. 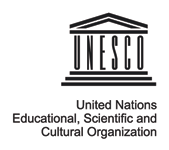 International Jazz Day was adopted by the UNESCO Member Nations on the initiative of UNESCO Goodwill Ambassador Herbie Hancock. The day is recognized on the official calendars of both UNESCO and the United Nations, and is celebrated in more than 190 countries on all seven continents. Each year, schools, universities, libraries, jazz clubs, performing arts centers, artists and arts organizations of all disciplines around the world celebrate the day through thousands of performances, education programs and community service initiatives. The Congo Square concert will be streamed worldwide on April 30th by the United Nations and UNESCO as the lead United States celebration of International Jazz Day. 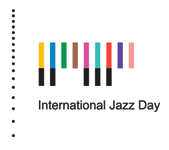 International Jazz Day programs are made possible by Toyota, the 2018 Lead Partner.